Electronic device icons. 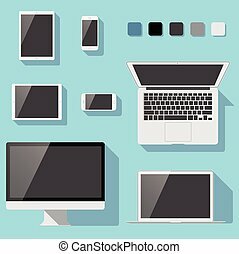 Set of electronic device icons isolated on white background. devices include desktop computer, laptop, tablet and mobile phones. 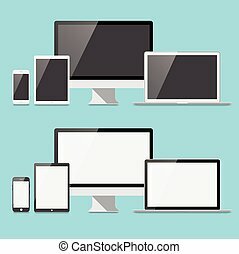 Set of flat electronic device icons isolated on grey background. Devices include tablets and mobile phones. Set of social media icons isolated on a white background. Eps8. Vector app icons, different styles in black. Eps10 file with transparency. 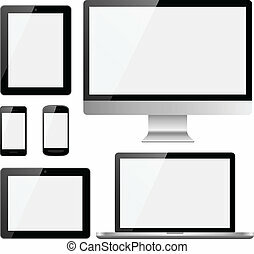 Set of 7 electronic devices with blank, shiny screens isolated on a white background. Devices include desktop computer, laptop, tablets and mobile phones. Eps10 file with transparency. 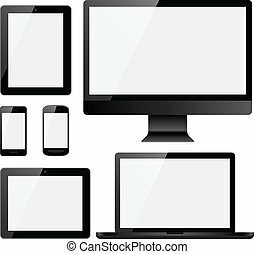 Set of 4 electronic devices with blank, shiny screens isolated on a white background. Devices include a desktop computer, laptop, tablet and smartphone. Eps10 file with transparency. 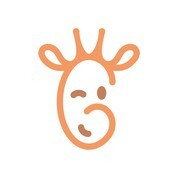 Set of social media icons - white icons with reflections isolated on a dark gray background. Vector eps 10 file. Set of electronic devices in a flat style. Devices include a desktop compute, laptop, tablet and smartphone. Eps10 file with transparency. 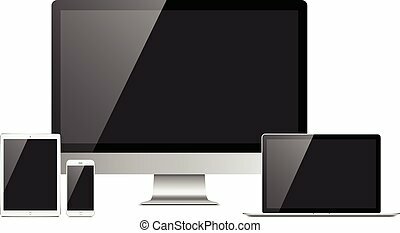 Set of electronic devices with white, shiny screens isolated on black background. Devices include desktop computer, laptop, tablet and mobile phones. Eps10 file with transparency. 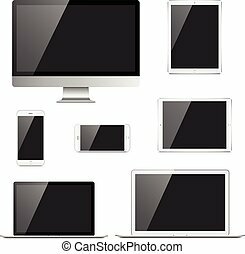 Set of electronic devices with white, shiny screens isolated on white background. Devices include desktop computer, laptop, tablet and mobile phones. Eps10 file with transparency. 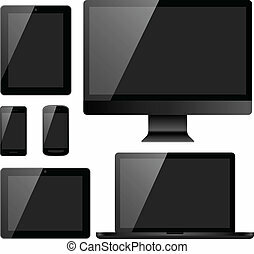 Set of black electronic devices with black, shiny screens isolated on white background. Devices include desktop computer, laptop, tablets and mobile phones. Eps10 file with transparency. 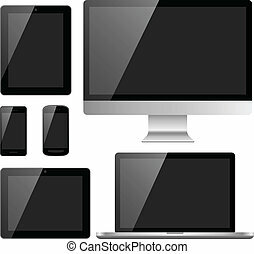 Set of black electronic devices with white, shiny screens isolated on white background. Devices include desktop computer, laptop, tablets and mobile phones. Eps10 file with transparency.